Our frosted bags and boxes are translucent yet allow for easy viewing. 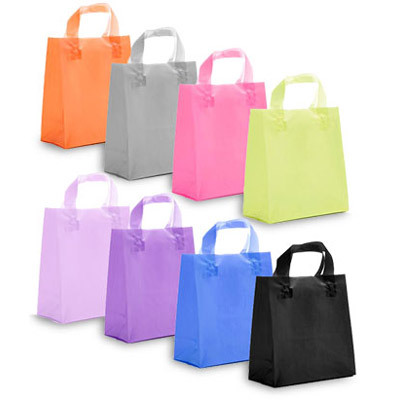 The frosted bags are 4 mil high density polyethylene and are available in a variety of designs, colors and sizes. They offer a fashionable look with sturdy construction. Appropriate for use at weddings, parties, showers and other events.